Unless it was a ACTUAL nation under a national, or international charter, it will not be in the game. 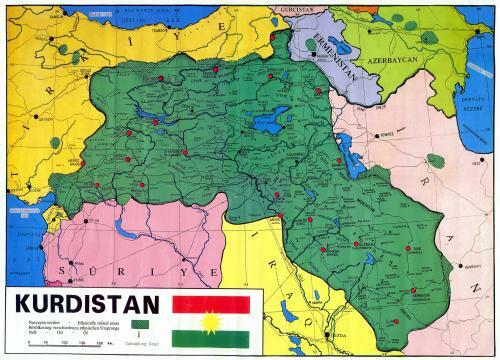 As the Kurds have either been under Iraqi, Turkish or someone elses influence during the war, it would be hard to put them on the map: and the size of the nation would only be 1 or 2 provinces, meaning its just not worth the input time unless they make dedicated Middle-east map. But, as I've said, the Kurds have never had a legal home during he war. Sorry buddy, but alot of people like a heavy load of facts on this game, and made up or badly drawn maps make some players extremely mad. Siberia is a huge frozen land mass, which is part of the largest nation on earth. Kurdistan would be tiny, and wouldn't even be playable due to it size. Kurdistan isn't a country when Georgia it is, there's no sense to remove countries like Siria, Irak or Turkey(that exists), to add a country that never existed. As you say, Catalonia should be a country too. It is a minor nation, it was never a nation during the second world war. That is historical fact. This is final. The devs will not bother to add a tiny nation, you can't justify wanting to code in a nation just because you have history. If that is the case, I want Israel in the game despite not being a nation at the time due to the extremely long history the Jews have. Now, argument over. No one else supports you here, nor with the devs really bother when they have a list of actual import game features to add.